1 Buying a property is often the biggest financial transaction a person will make in their life so you need to choose a trusted conveyancing lawyer like lawlab to help guide you through the process and to make sure your legal interests are protected. 2 When you have expressed your interest in purchasing a property or your verbal offer has been accepted, the real estate agent or the seller's legal representative (i.e. solicitor or conveyancer) will prepare a contract for you to sign. Seek legal advice from lawlab before you sign - sellers and agents have their own interests in mind, but a good conveyancing lawyer is there solely to protect your interests. 3 lawlab helps speed up the contract to settlement process by using the smart, simple and secure online system called Rundl (www.rundl.com). Once we receive the draft contract, we will review it, guide you through the terms of the contract and advise you on any special conditions. If necessary, we can add special conditions to the contract, for example, the purchase may depend on the sale of your existing property. 4 If you're buying a dwelling then we recommend you obtain a building and pest inspection or, in those states where it is common practice, ask for the contract to be conditional upon a satisfactory building and pest inspection. 5 If you need to borrow money to purchase the property then you will need to obtain a written approval of finance from your lender, or in those states where it is common practice, ask for the contract to be conditional upon finance approval within a reasonable time. 6 If you're buying at an auction, register to bid by contacting the real estate agent before the auction day or on arriving before the auction. You will need to provide your full name, address and some photographic identification. If your bid is the highest and above any reserve price set by the seller then you have made the winning bid. 7 Once the contract is signed by both the buyer and seller (known as exchange), it becomes legally binding. If we’re involved before signing, we can may be able to issue the contract to be signed electronically, which speeds up the process and secures your purchase quicker. The contract is normally dated on the date that the last party sign its. 8 At the same time as signing the contract, you need to pay a deposit. The deposit is negotiable and is usually an amount up to 10% of the purchase price. You may be able to negotiate paying an initial deposit when you sign the contract and the balance later (e.g. once any cooling off period expires or when finance is approved). The deposit must be paid strictly when it is due and is usually paid to the trust account of the real estate agent or the seller's legal representative for them to hold until settlement. 9 We will confirm the critical dates of the contract and you will be kept up date and guided through the conveyancing process using Rundl. The standard settlement period in Australia is between 30 to 60 days but you can negotiate a shorter or longer period if required. If you're obtaining finance, keep in mind that your lender may take at least 2 to 3 weeks to confirm formal approval, issue loan documents and be in a position to settle. 10 You may be entitled to a cooling off period which means you can cancel the contract without any reason before the cooling off period expires. There are no cooling off periods in some states and in some circumstances (e.g. if you buy the property at or closely following an auction or if you have waived your cooling off rights) and the cooling off period also varies between states and territories. In some states the seller may be entitled to charge a small termination fee if you terminate under the cooling off provisions. 11 You should order searches on the property you are purchasing so you can discover whether there are matters that materially affect the property that the seller has not disclosed. If an adverse search result is obtained, you may be entitled to terminate the contract or claim compensation, depending on the type of search result and your rights under the contract. 12 If your contract is subject to any conditions, we will need to give notice on your behalf to the seller's legal representative advising them whether or not the conditions are satisfied (e.g. if you have obtained finance approval) prior to the expiry date for the conditions. If you cannot satisfy a condition of the contract such as finance approval or a satisfactory building and pest inspection by the condition date, you are usually entitled to a refund of your deposit. 13 We will collaborate with the real estate agent and your broker or lender on Rundl so everyone is kept up to date on the progress of your purchase and can work together towards your settlement. There may be some documents for you to sign along the way and we’ll share these with you at the appropriate time. 14 Transfer (stamp) duty is usually payable on the purchase of the property. It is usually calculated based on the purchase price. There may be concessions available to some first home owners and home owners but these vary between states and territories. We will advise you when and how you will need to pay transfer duty (which may be required before or at settlement depending on the settlement date and transaction type). 15 If you are obtaining finance for your purchase then your lender will prepare the loan and mortgage documents for you to sign. If a guarantor is guaranteeing the loan then they may need to obtain independent legal and financial advice. Your lender will deduct their fees and any statutory charges from the loan amount and will advise us of the funds available for settlement. 16 We will prepare settlement figures and send these to you for your approval usually 5 days prior to settlement. You should budget to have enough funds to cover the purchase price (less any deposit paid), transfer duty, legal costs and any pro-rata adjustments for outgoings (e.g. rates and water). If your loan amount does not cover these costs then you should contact your broker or lender and provide them with authority to draw any extra funds needed from one of your bank accounts. 17 You should contact the seller or the real estate agent to arrange a final inspection of the property on the morning of or the day before settlement. This gives you an opportunity to make sure that the property is in the same condition as at the contract date and that any goods included in the contract are left at the property. Call us immediately if there is a problem. 18 Your settlement will either be a paper or an electronic settlement. Electronic settlements are now mandatory in Victoria and Western Australia and will soon be in New South Wales. In Queensland and South Australia you can choose between a paper or electronic settlement. We recommend electronic settlements because there is less risk of delays to settlement, less documents for you to sign, less banking costs and title will be transferred to you sooner. 19 Electronic settlements take place online but if you have a paper settlement there is usually no need for you to attend this either as our local settlement agents will attend settlement on your behalf. Once settlement has occurred we will contact you immediately to advise that your purchase has settled! You can then collect any keys from the real estate agent. 20 With electronic settlements, the transfer of title will be immediate and with paper settlements the transfer of title and any discharge or new mortgage will be lodged for registration at the land titles office. The local authorities also get notified of the change of ownership. 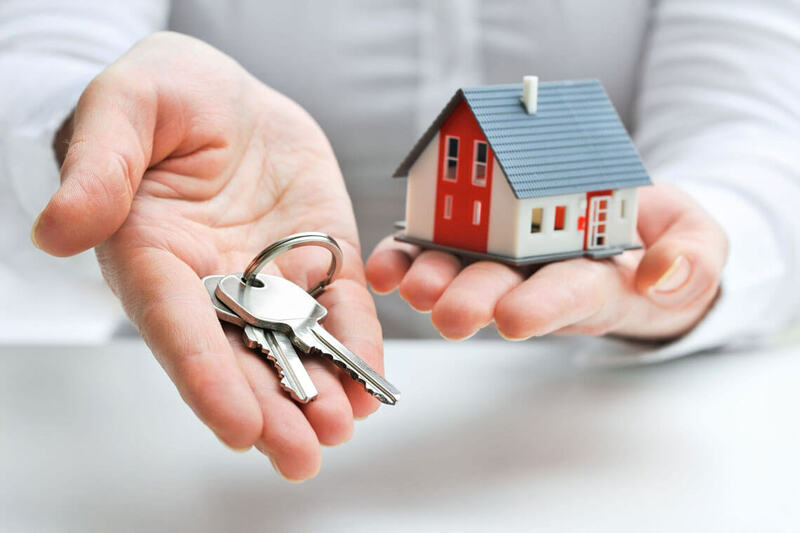 The conveyancing process of buying a property can be complex and confusing at times but as experienced conveyancing lawyers, lawlab will make your journey easier and you can be confident you are in safe hands. Disclaimer This information is general in nature only and does not constitute legal advice. lawlab accepts no liability for the content of this information. Each state and territory in Australia has its own property laws and conveyancing process and you should obtain legal advice specific to you individual circumstances. Liability limited by a scheme approved under Professional Standards Legislation. Legal practitioners employed by lawlab Pty Ltd are members of the scheme. Lenders mortgage insurance (usually applies if you’re borrowing over 80% LVR).